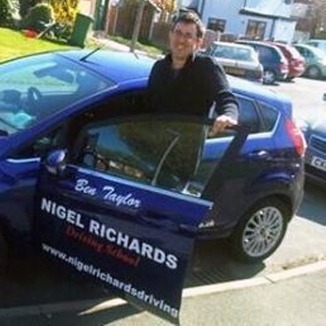 Nigel Richards Driving School have been established in Wrexham since 1994. 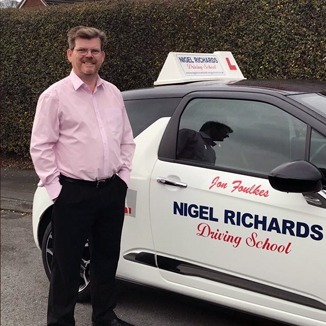 Nigel Richards is the Driving School owner and founded the school in Wrexham in July 1994. 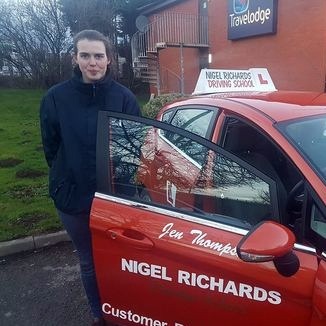 Having a passion for driving since the age of 12 and having driven for a living since the age of 18 starting the driving school was an ambition achieved. Ben Taylor is a fully qualified Approved Driving Instructor and joined Nigel Richards Driving School after being trained by Nigel Richards. Nigel found it difficult to find decent instructors to help with demand so decided to train is own. Ben spent a vast amount of time in the back of Nigel's car and passes all he learned onto his pupils in exactly the same style. He had a great interest in driving and found it a natural extension to pass his enjoyment on to other people. 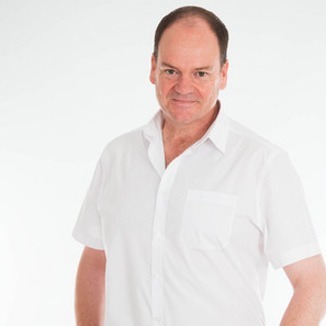 We are pleased to have Neil Rowlands on our team as he is a fluent Welsh speaker and now allows Nigel Richards Driving School to offer lessons in Welsh and English. So if you would like your driving lessons to be conducted in our native language then Neil is your man! 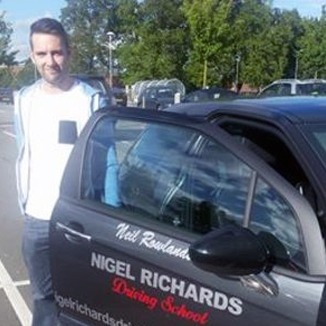 Neil is an experienced driving instructor who has been working in Pwllheli, West Wales and has now moved over to Wrexham and joined our school. Already proving a great success with our pupils in his new Citroen DS3 Neil is always in great demand and we enjoy having him on the team. Jen Thompson learnt to drive with Nigel Richards Driving School when she was 17, as did her 3 brothers. After trying a few career paths Jen decided her love of driving should be followed and decided to train to be a driving instructor. She came back to Nigel Richards Driving School for her training and has now fitted perfectly into the team. Shes easily recognised with the HELLJEN number plate! Paul trained with Nigel after being made redundant from a local factory after many years of service. He felt he needed a more rewarding career and took the step to pursue his interest in driving. Upon passing all his qualifying exams Paul joined the team. His popularity amongst pupils was instant due to his very calm and confidence boosting nature and methods of teaching. He now gets regularly recommended to other pupils for these attributes and is really enjoying his time with the school, which now gives him the flexibility to enjoy his golfing more combined with giving his pupils a great service. 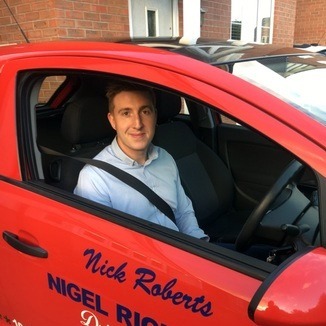 Nick Roberts learnt to drive at 17 years of with Nigel Richards Driving School following in the footsteps of his older siblings who also all learnt with us. Passing at 1st attmept he then furthered his driving career in the Royal Air Force by becoming a Firefighter. 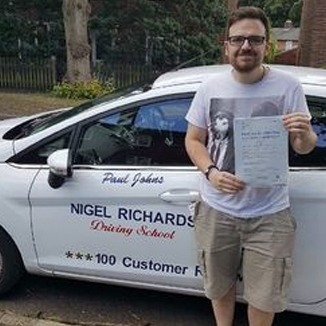 Nicks love of driving caused him to enquire about becoming an instructor resulting in him enrolled into our driving instructor training program. He took his time over the training, getting everything right and passing every exam at the first attempt with flying colours! His instructional ability was then put to the test, resulting in his first 5 tests all passing! A truely amazing achievement. We are so pleased to have him on the team and so are his full diary of pupils! 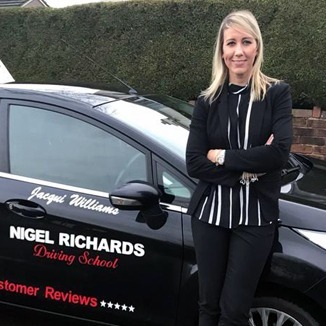 Jacqui Williams trained to be an instructor with Nigel Richards Driving Instructor Training purely for the love of cars and her enjoyment of helping people. Jacqui hails from Essex but now lives in the Wrexham area. Her love of cars was instilled by her father and qualifying as a driving instructor seemed a very natural career step. It also fitted in well with her family life being the mother of two boys. Her genuine enjoyment of helping other people really lends well to her pupil centred teaching style and reflects in her test results. It was through Jon's son Jordan learning to drive with Nigel Richards Driving School that Jon trained as an instructor. Nigel was teaching Jordan and noticed a marked improvement from lesson to lesson. On enquiring what practice he was getting in between lessons NIgel discovered his father Jon was taking him for practice and was interested in becoming an instructor. As they say the rest is history and Jon trained with us after considering the career for many years and now holds a very high pass rate with his pupils.